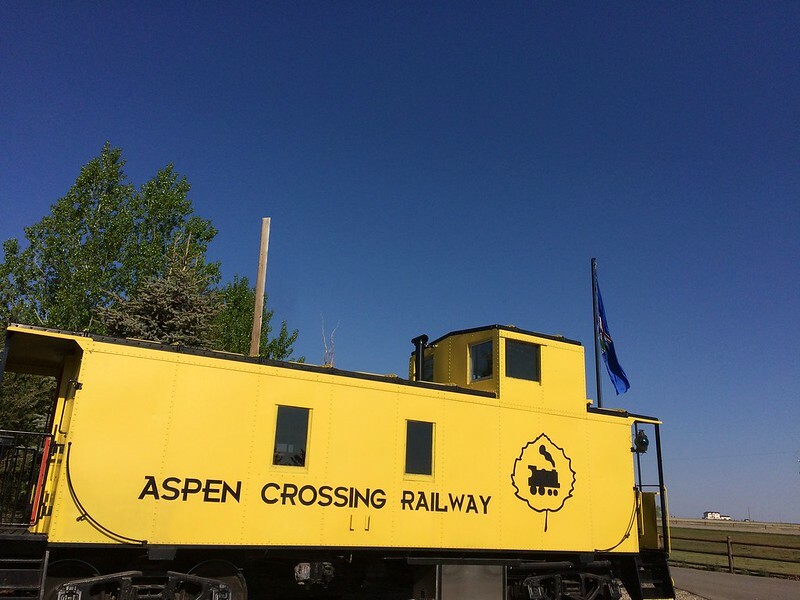 Among the prairies of Southern Alberta, Aspen Crossing is a must-visit for train enthusiasts. At the end of our recent road trip through Southern Alberta and along Alberta’s Cowboy Trail, Rebecca and I had the opportunity to experience something truly unique. Aspen Crossing celebrates the region’s railway ties by paying hommage to the network of tracks and trains that saw the expansion of settlement in Western Canada. Located in the community of Mossleigh, southeast of Calgary, Aspen Crossing should be on the itinerary of any train lover’s travels. 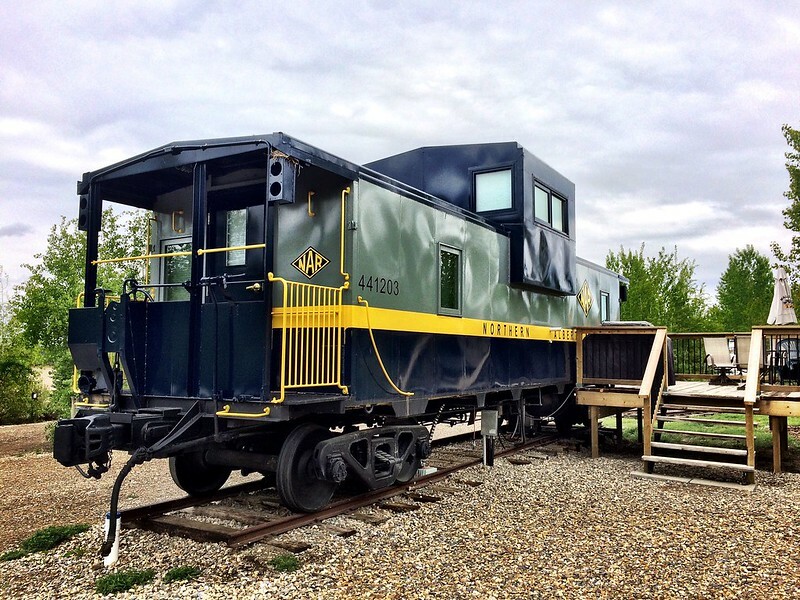 The resort features a excursion train that travels a 28-mile loop, caboose cabins, RV park and campground, and even a lovingly restored 1887 Pullman dining car used by former Prime Minister John Diefenbaker. 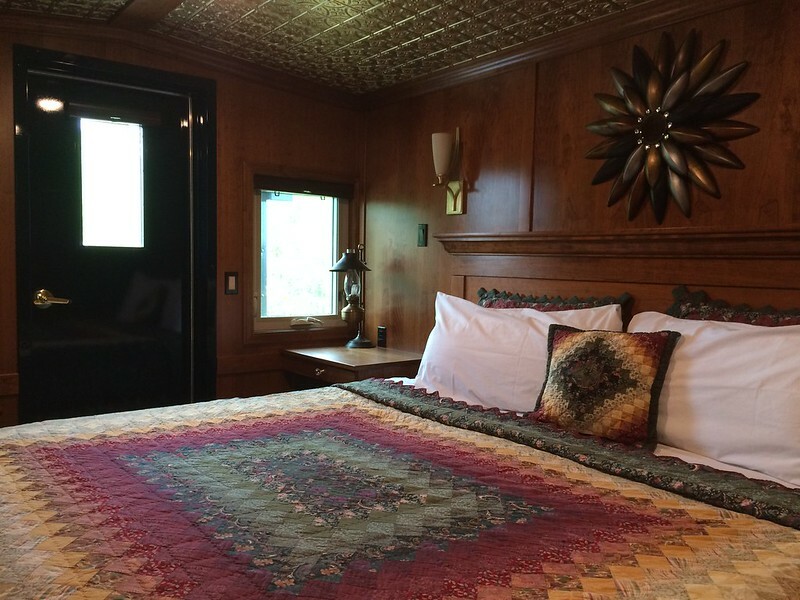 Rebecca and I spent the night in one of Aspen Crossing’s luxurious caboose cabins, beautifully well-appointed and exceeding any expectations I had! 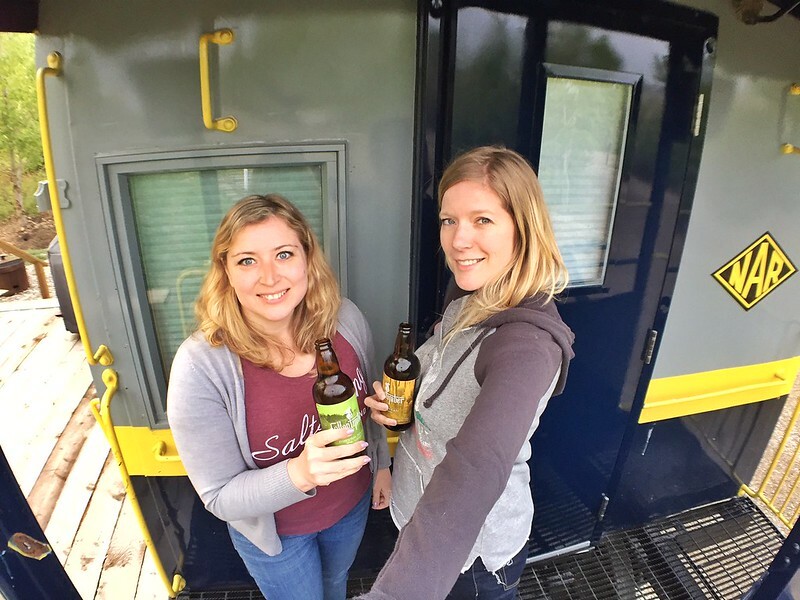 The Northern Alberta Railway Caboose is complete with a king-sized bed, a private deck, a full bathroom, and a kitchenette in which we could both catch up on work while cracking open some session meads from Fallentimber Meadery. 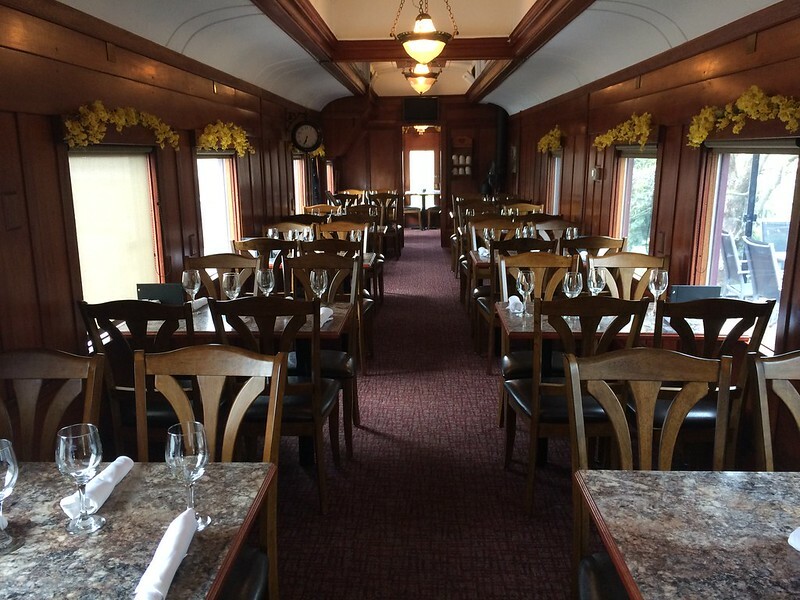 Both dinner that night and breakfast the following morning were served in Aspen Crossing’s dining car restaurant. A generous menu with a focus on Alberta-harvested foods ensured that our appetites were adequately satiated. For dinner we both chose to eat local with a steak of Alberta beef. 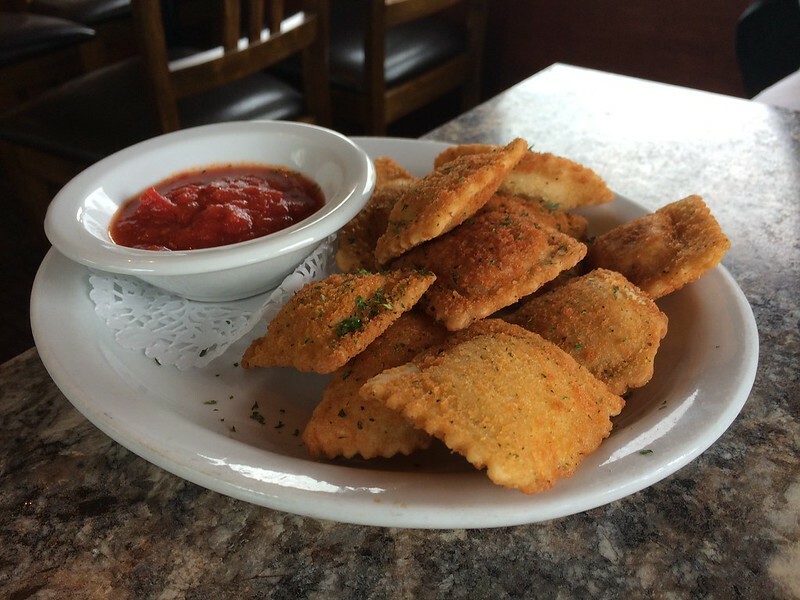 I couldn’t say no to the breaded ravioli to start. 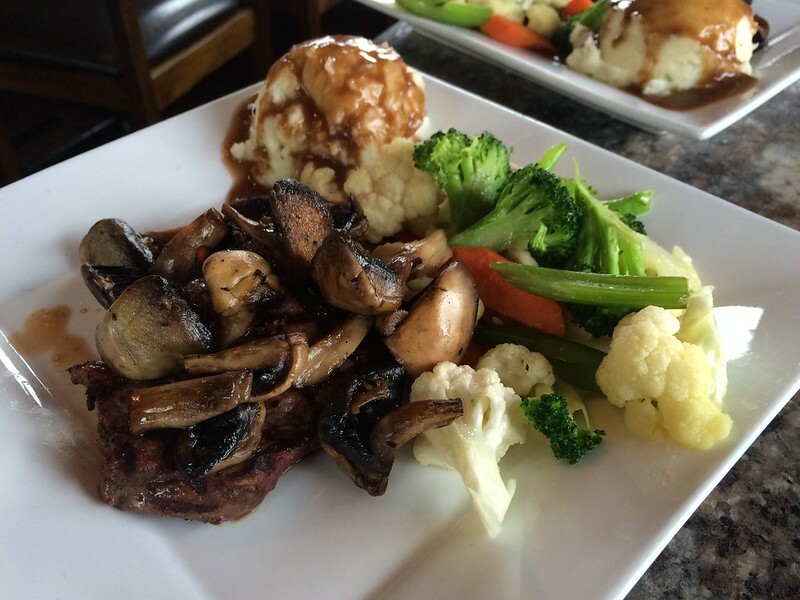 Our only regret was that we weren’t there on a Friday evening for the prime rib special! 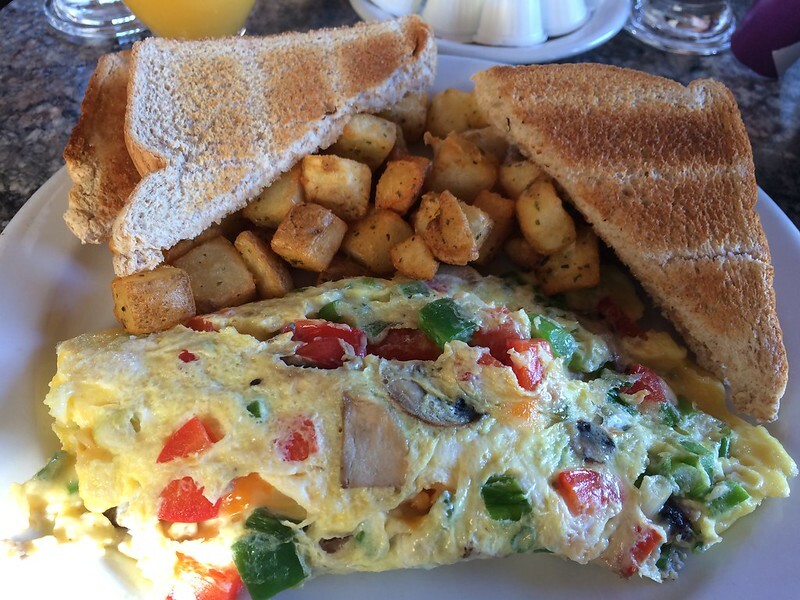 In the morning I kicked off my day with, hands down, the best (and biggest) omelette I’ve ever had. For those with more time to enjoy a stay, Aspen Crossing also organizes a number of events to appeal to everyone. 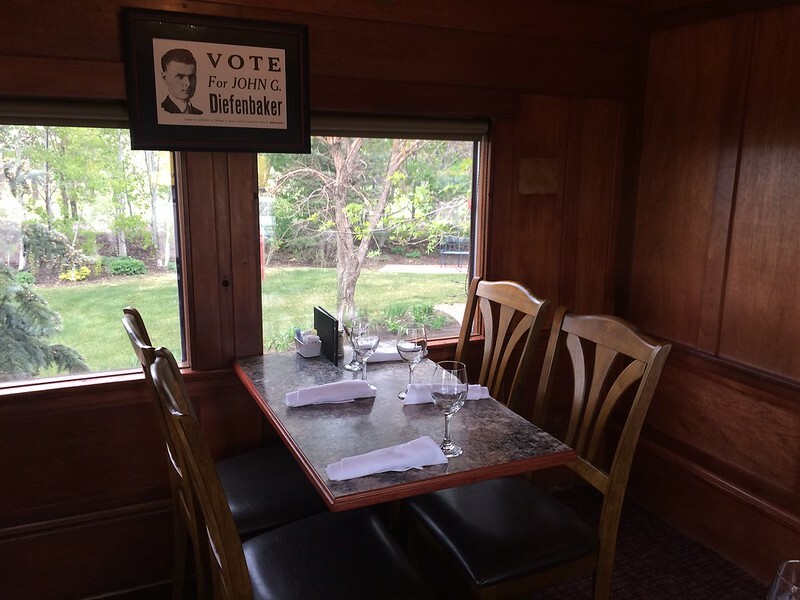 The Ales on Rails Tour caught my eye, but there are also more family-friendly options such as the Circus Train Tour, dinner theatre, or a Meals in the Field excursion – complete with a re-enacted train robbery! The best part of any road trip is in uncovering hidden gems while finding new memories to collect along the way. Staying at Aspen Crossing was a remarkably different way to spend a night in Southern Alberta, one that is incomparable to anything else I’ve ever experienced! Aspen Crossing is open year-round and features accommodations, dining, shopping, and tours. Join the Calgary Experience and visit their website to learn more. You can also follow Aspen Crossing on Twitter and find them on Facebook. Disclaimer: Our stay and meals at Aspen Crossing were generously provided by Aspen Crossing and Travel Alberta. I was not paid or asked to write this post; the views and opinions expressed are solely my own. Until July 17th, you can enter to win a complete METRIN Scientific Skincare line worth $152! Click here for more information. ← Book Review: Can We Play With Your Dog?